I am a retired A.C. technician, but still work part time as a auto parts salesman. 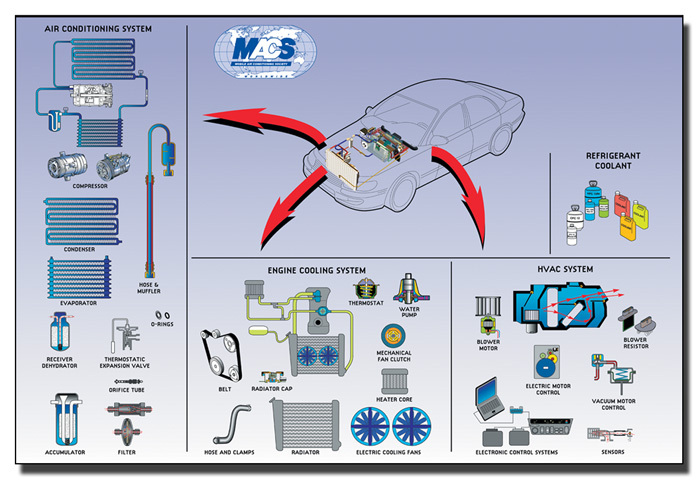 What I need is up to date information on changes to HVAC systems to be able to properly advise technitians in Canada how to get the proper products and techniques required to recognise and service newer A.C. systems. Is there a publication available I can use. 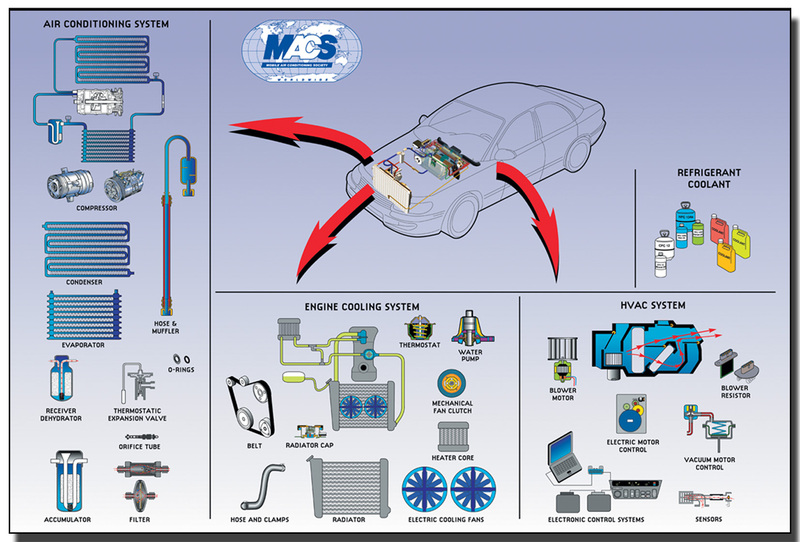 Become a member of MACS and take advantage of our timely and accurate mobile A/C service and repair information. I am a resident of Nairobi,Kenya. I am highly interested in servicing motor vehicles airconds. 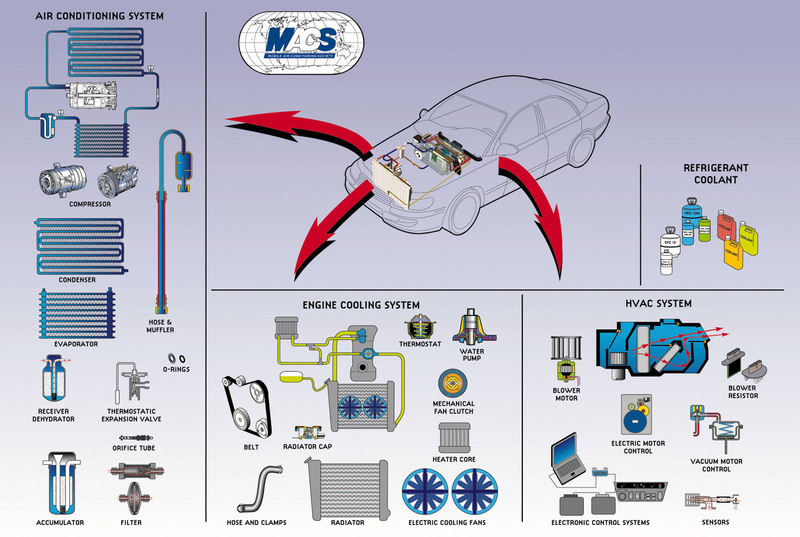 What do you need to become a qualified technician to offer acceptable servicing standards? I know that technicians have to be trained and certified to service A/C, just wondering of there is any type of certification that the employer has to maintain. Recordkeeping is the responsibility of the employer as stated in Section 609 of the clean air act. You must maintain the EPA registration record on your recovery/recycle machine and you should have copies of your employee’s section 609 credentials in thier employee files. Been to the (MACS) 2013 Training Event and Trade Show at the Caribe Royal Convention Center in Orlando, Fla. and I have learned a lot from the show and met great people. My system doesn’t seem to keep up with the demand. I have replaced the compressor, condenser, orifice tube, accumulator and all the sensors. If I just let it idle, it will get down to 62 degrees F.
When I take it out on the road, the coolest I can get is 80 degrees F.
I have taken it to a AC repair shop and they have put gauges on to test the freon level. the evaporator is cold and the one coming out to the accumulator is cool, but no excessively. also seem to lose some of its cooling capacity before it gets to the evaporator. Any suggestions as to what the real problem is?